Solve the industry bottleneck, enhance innovation ability, and seize the international high-end. The standard of information resources sharing (Intelligent Grouping & Resource Sharing- IGRS), referred to as "Shanlian" standard, is the standardization system which is to realize intelligent networking, resource sharing and collaborative service between information devices in the family and the office environment. 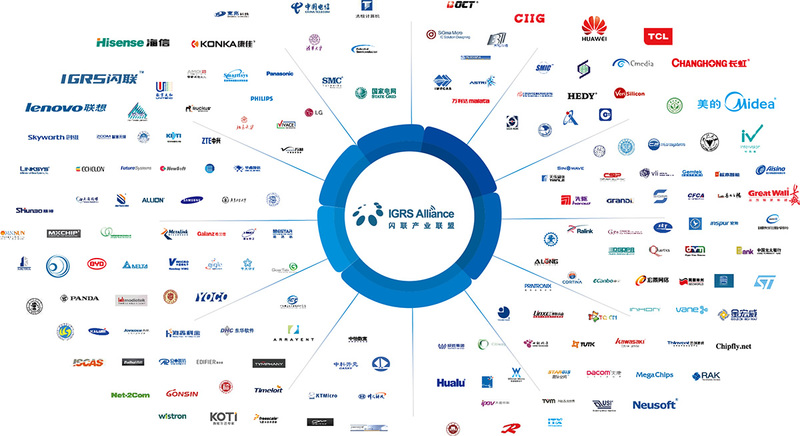 As the China's first 3C cooperative international standards, IGRS standard fill in the gaps in China's information industry standard in ISO. China's enterprises have the right to speak in the global 3C collaborative technology area, and also a major achievement of China's joint innovation of large enterprises. The industrialization process of IGRS will become the model of China technological innovation.